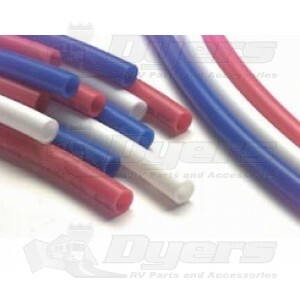 3/4" flexible red tubing sold by the foot. Produced from high performance, cross-linked Polyethylene material. Sea Tech tubing is NSF listed and FDA recognized. Example - Changing item quantity to 20 and hitting add to cart will order 20ft of tube.